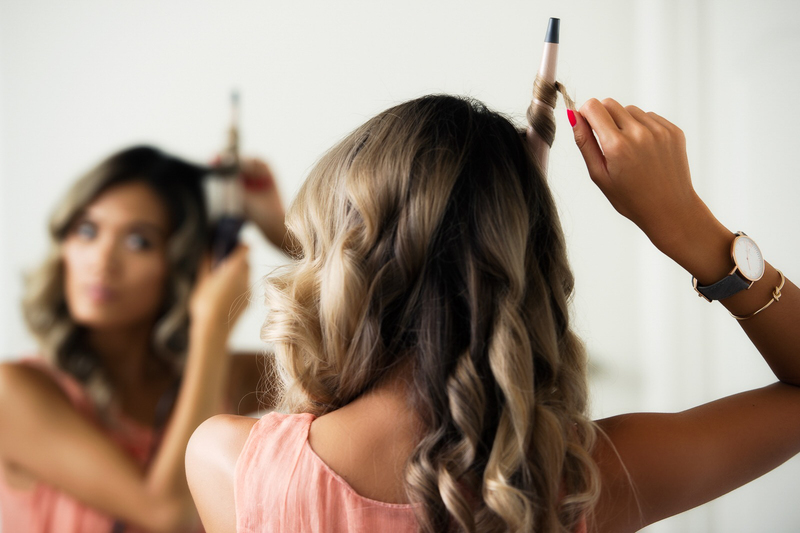 Whether it’s getting ready for a big event or just to look done up for the day, I can always rely on Remington’s T|Studio Thermaluxe Collection to achieve a flawless hair style all day long. The collection features advanced thermal technology for long lasting, healthy hair and 24/7 style perfection! To me, good hair sets a precedent for a good day — because when I feel confident, I can achieve anything. Remington’s Advanced Thermal Technology collection was developed over the course of 27 months and many hours of consumer research to ensure superior performance. 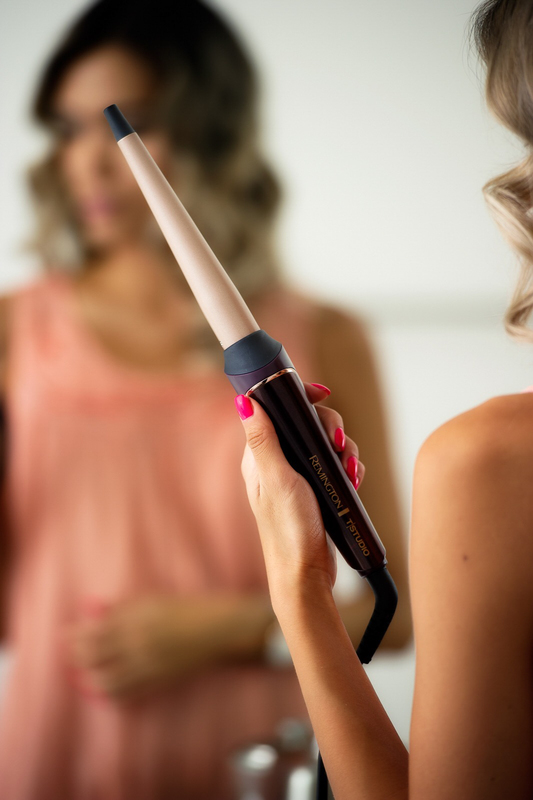 The advanced heating system in each tool allows for the heat to quickly and safely transform hair. This collection is readily available for purchase at your local Walmart or online at Amazon.com. Naturally, my hair is straight but I definitely get bed head after waking up after a good night’s rest. Remington’s hair straightener allows me to quickly touch up my hair so that I don’t look like a lion just out of bed! 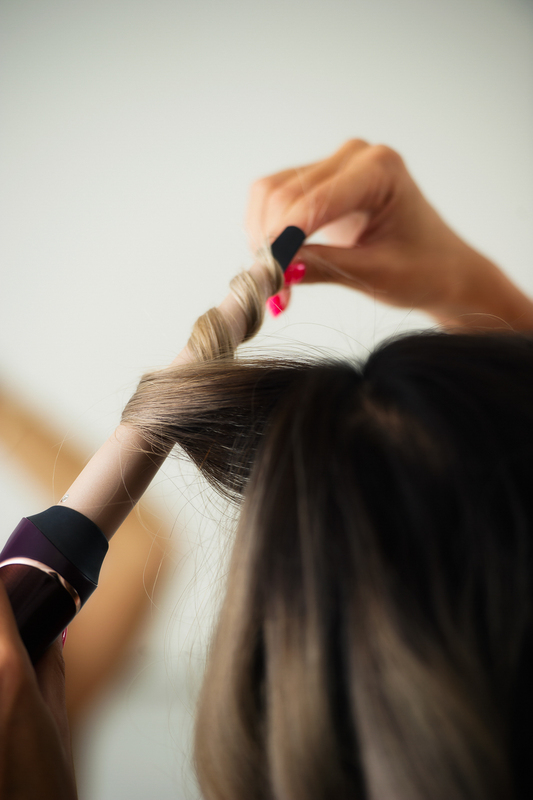 The straightener takes only 15 seconds to heat up, and will give me flawlessly straight hair in under 5 minutes. Other straighteners I’ve used fluctuate in temperature, making it harder to achieve straight hair efficiently. Because Remington’s Thermaluxe straightener gives even heat distribution, I don’t have to straighten the same section of hair over and over to get even the stubborn parts of my hair straight. I love how smooth and shiny my hair looks afterwards! Those of you who know me know that I love loose beach waves for an everyday hair style. On days I want some volume in my hair, I use Remington’s curling wand. This one took some practice to get used to because all the curling wands I had used before had a clip-on clasp allowing me to easily curl my hair mostly with one hand. This wand definitely requires more of an attention span at first (to avoid burning your skin/scalp from certain angles) and two hands. After I got a hang of it though, I found that it cuts down curling time by half. What normally takes close to 30 minutes to finish now takes me anywhere from 10-15 minutes depending on the look I’m trying to achieve. Also, the gradient heating system concentrates where you need lift most — at the root! Long gone are the flat-head days. After some experimenting, I also learned that the wand is very versatile, despite its smaller barrel. I am able to make the curls tighter or looser depending on how much hair I curl at once, and how long I keep the hair wrapped around the wand. The first time around, my hair turned out a lot more voluminous than I had expected. While it’s not my everyday go-to look, I do love how these curls loosen out over the course of a few days. This works out nicely because I’m not keen on washing my hair so often… and it saves me a lot of styling time! With other curling wands, my hair wouldn’t hold curl for very long without a ton of hair spray (a major con for having stubborn straight Asian hair). With Remington’s T|Studio wand, I surprisingly didn’t have to use any hair spray! My curls were a lot bouncier and my hair felt a lot healthier. For looser waves, I try not to keep the hair wrapped for too long and I curl in smaller sections so that it looks effortless & natural. Looser waves are ideal for the day, but will require more touch-up if I want them to last longer. If you’re clumsy like me and sometimes worry about whether you’ve left your hot tools on and fear coming back to a house on fire, you’ll greatly appreciate the fact that these tools have a built-in automatic shut-off function. After 60 minutes, they will automatically turn off so you don’t have to worry if you’re out of the house for a few hours. 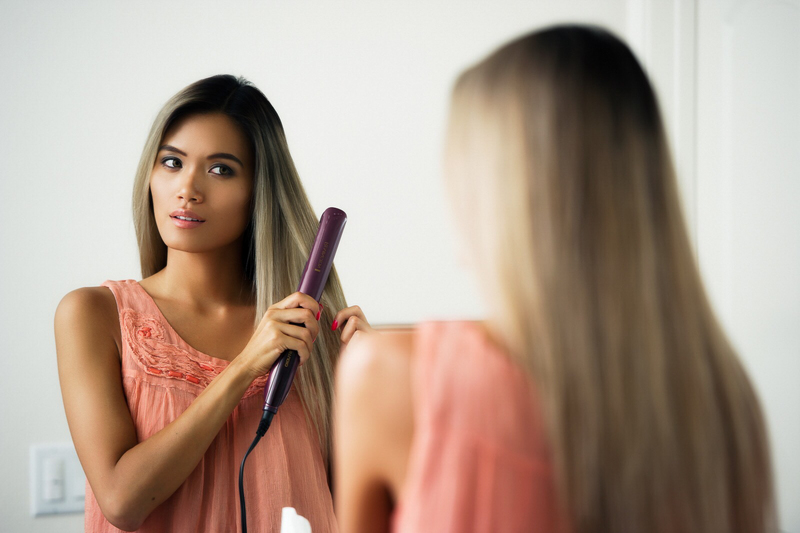 Both the hair straightener and curling wand are pretty lightweight so they’re ideal for travel. The straightener even has a lock function that allows you to keep it compact in your suitcase. I love that I can easily bring my Remington styling tools anywhere I go for the perfect look any time. Have you tried any of Remington’s styling products? Which one is your favorite? Previous My First At-Home Microdermabrasion Experience with Trophy Skin! Your hair is SO gorgeous! You rock both wavy and straight hair and these Remington products have definitely done you good 😉 Will have to check them out! My straightener just broke so I think I’ll be getting this one as a replacement. Your hair definitely looks soft and smooth! Great post! Gorgeous hair!!! I can’t tell if I like you better with curled or straight since both look amazing. How long did it take for you to adjust to the curler? I use one with a clamp too and am wondering if it’s time to switch. Your hair is so pretty and I love the curled look! 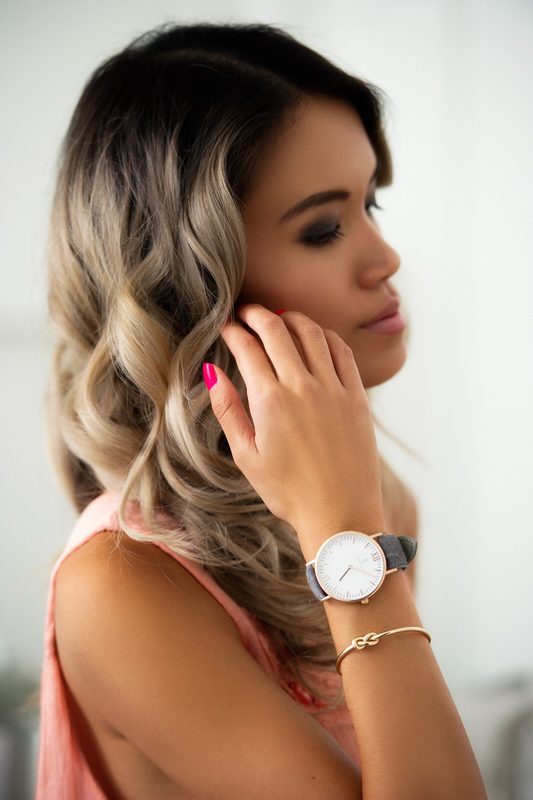 Love those styling tools and that bracelet too! Wow, those tools make your hair look SO fabulous! Super impressed by the image quality, too. So glad to have stumbled upon this beautiful blog! Your hair looks so gorgeous and healthy for being coloured/exposed to heat! I’m jealous. My hair is too crazy for any tools, even after my stylist straightens it, it starts waving back in a few hours lol. You literally have perfect curls omg! I’ve heard a lot about this line and I know Remington products are great! My curling iron is about to kick the bucket, and I’m positive that I’m gonna try one out when they finally go! It really does work for your hair cause your hair looks amazing. This will be such a great investment. Thanks for sharing love. your hair looks amazing, and i love your bathroom too! Your hair is gorgeous. No wonder you love Remington products. Beautiful. Hair goals! You are an artist with those Remington tools! You make straight or curly look so easy. I need to practice with that wand more. You are stunning! Omg your hair looks so pretty. I wish I was this good at doing my own hair. Hehe. Thanks for sharing this. Love your hair so much:) You look so amazing! Absolutely love your hair Sharon!!! I have seen the Remington brand before but never try it before. I have heard great things and after seeing how your hair look specially with the curling wand I must get it. Sharon, you hair is always so perfect!!! Love this post of sharing your secrets of styling!! That curling wand from Remington looks amazing. 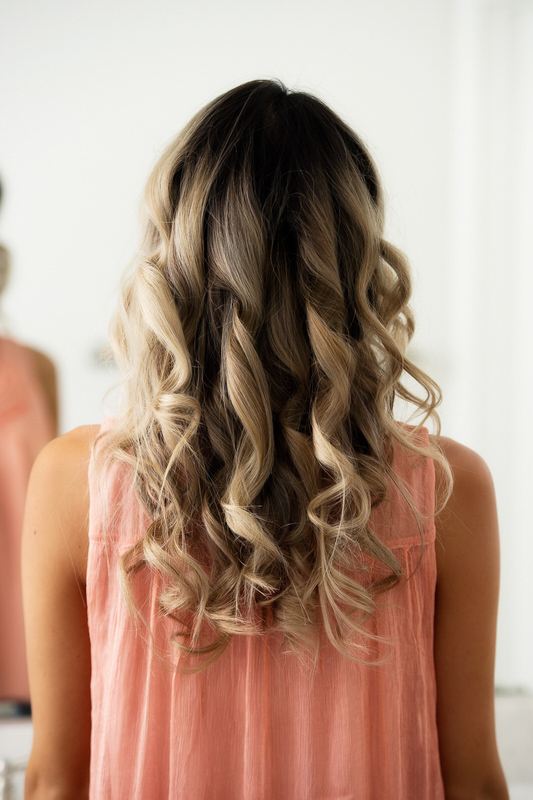 I love the perfect beach waves it has created on your hair. Can’t wait to my hands onto one myself. Your hair looks awesome–especially in these lovely photos! I don’t think any of my styling tools are Remington. Might have to check them out! You have gorgeous hair!!! I will have ot check out these products! Your hair is gorgeous and these photos are beautiful, babe! Those curls look amazing! I have been wanting to try a curling wand for some time now. Gotta love those beach waves! I actually own a Remington flat iron that I just can’t get enough of! With the smallest bit of heat protectant and oil, my coils are slicked to perfection. It’s a great set of heat tools! I’m obsessed with their brand and have been using it for years! Their flat iron is amazing! Love the auto shutoff feature — I’m always thinking I’ve left my irons on! I need a new curling wand, so I’ll definitely check this out! I’m not really into hair straightener because they say it dry your hair but with this I wanted to try it! hehe I love your hair, especially when it’s curly. Pretty as always! I can so relate to this post, Sharon! I’ve been trying out a smaller barrel too lately and love how the curls loosen out over the next few days. 🙂 Your hair looks amazing with this wand! Your blog is so very aesthetic! I love the photography. I always need a good straightener because my hair is super rebellious. I miss my straight hair and loose hair days. I long to go back! Your hair is stunning! I love the Remington curling wands! Your hair looks amazing!! Love visiting your blog! your hair looks great! i don’t even own a hair dryer! I’ve never tried Remington’s heat styling products before but you’ve definitely convinced me to give them a go. Your hair looks fab both straight and wavy. I really want to try that conical curling iron. Up to now, I’ve only ever used a straight barrel one. You are so stinkin gorgeous I can’t even handle it. your hair is absolutely stunning! and these photos are totally gorgeous. I love remington products! I love how your hair turned out with the curling iron! So cute! These sound like fabulous tools! You hair looks seriously good, too. Those curls are amazing!!! gonna look into this curler right now! Your hair looks absolutely amazing! I love what you are wearing as well! This beauty tool in one I need too! I want curls just like yours! Gorgeous! Ok, you actually didn’t see this coming, but yes, I’m a proud owner of a Remington hair straightener, BUT I have to admit I haven’t used it for ages as I always tell myself I don’t have time and then I just put a cap on my head. One day soon when I’m feeling like I wanna be a bit more handsome than usual I’ll actually take it out for a spin although I won’t get those pretty curls you’ve got, haha. Your curls turned out so well! This post gave me major nostalgia as Remington was my first hair straightener from when I was in year four and doing dance recitals. 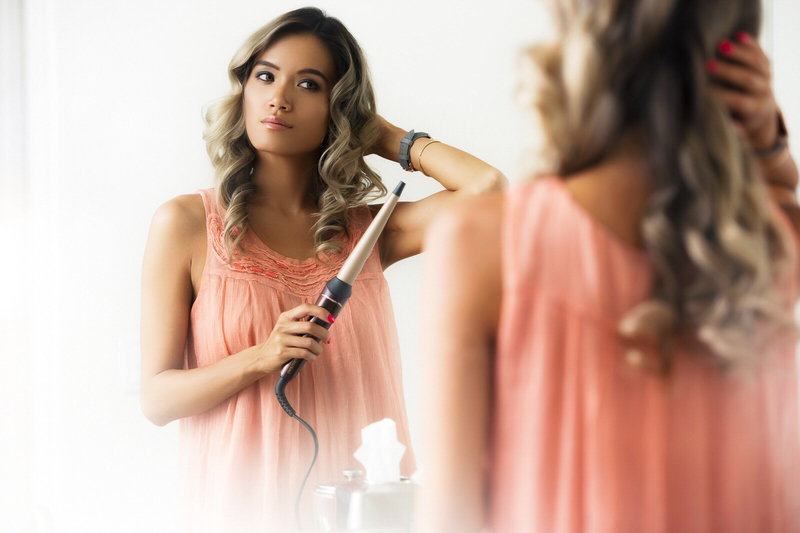 I love how this straightener also protects your hair from heat damage!